After making its debut at the 2015 New York Auto Show, the 2016 Honda Civic has dominated the automotive conversation among Rusty Wallis Honda customers. 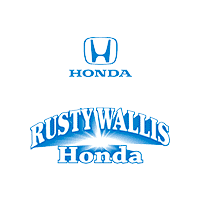 The venerable compact car should arrive at our Dallas, Texas showroom towards the end of 2015, just in time for the holiday sales frenzy that makes Rusty Wallis Honda stand out in the local community. Past Honda Civic models have garnered myriad automotive awards from renowned review sites as Edmunds and Kelley Blue Book. Known for retaining a high resale value years after a purchase, the Honda Civic landed on the Kelley Blue Book Top Ten Best Resale Value list. The 2016 version of the wildly popular compact car includes a refined exterior design that features a bolder frame, while maintaining the Civic’s reputation for being the consummate family car. Never a company to rest on its laurels, Honda has spent considerable time and money upgrading the performance specifications for the 2016 Civic. Honda engineers developed a 1.5-liter VTEC turbo engine that flawlessly operates on four cylinders to increase the power of the classic compact car. Although Honda has not release the complete list of performance specifications for the 2016 Civic, Rusty Wallis Honda customers can expect the impeccably designed continuous variable timing transmission to pair with the potent VTEC engine. Honda plans to offer our Dallas, TX area customers the option to put more performance control in their hands, with the smooth operating six-speed automatic transmission. The bolder exterior frame appeals to the sports car segment of Rusty Wallis customers, but the aesthetic improvement takes a back seat to smoother curves that reduce wind resistance and hence, improve the fuel economy for a compact car known for its money saving benefits enjoyed by owners at the pump. The strategically placed cabin controls allow 2016 Honda Civic drivers to easily access features such as climate control and hands-free Bluetooth technology. Honda’s innovative two-tier dash display includes a five-inch monitor that clearly displays navigation information, such as the traffic conditions on busy metroplex roads and highways. However, the inside of the 2016 Civic really shines in the comfort department and not simply for the plush seat materials. Ample head and legroom for tall adults, coupled with high mounted rear seats, enhance the comfort for a compact car that has always led the way in providing superior comfort. Several automotive reviews mention that the 2016 Honda Civic boasts much more legroom than the legroom provided by rivals that include the Ford Focus and Chevrolet Cruze. Honda’s proprietary Sensing Safety Suite encompasses a wide variety of safety features that earn the compact car the highest safety ratings from the Insurance Institute for Highway Safety (IIHS) and National Highway Traffic Safety Administration (NHTSA). Forward Collision Warning not only detects imminent front-end collisions, but the high tech safety feature also applies immediate brake pressure to reduce the impact of frontal collisions. Honda LaneWatch adjusts the steering wheel for the 2016 Civic, whenever the safety feature activates due to a 2016 Honda Civic driver wavering from the proper lane. The automotive team at Rusty Wallis Honda always mentions to our Dallas area customers that the 2016 Civic comes equipped with a rearview camera that presents clear images of driver blind spots. Test-drive the 2016 Honda Civic, when the compact car arrives at our state-of-the-art dealership. We are conveniently located just of the LBJ Freeway (Interstate 635) in the heart of the metroplex.